HM: When and how did you become interested in aesthetics? KW: I was in music, actually, when I was in high school and for the first two years in college. I loved music and had a lot of fun in it. I was a cellist, but not a very accomplished one and I had visions of having to spend my life directing a marching band in a high school, and that didn’t appeal to me. So I decided to do an experiment. I transferred to the University of California at Berkeley and changed my major experimentally to philosophy – always thinking I might go back to music if it didn’t work out. But I gradually got drawn into philosophy. I went to Cornell as a graduate student and had one really wonderful seminar on aesthetics with Frank Sibley. Sibley is not especially well-known and he didn’t write very much but what he did write has been pretty influential. The seminar was just superb and it made me realize how you can put together analytic philosophy with a real interest in the arts and discuss and examine philosophically questions that are bound to come up as a result of being interested in the arts. However, that was the only aesthetics I had at Cornell. Sibley shortly moved back to Britain, and I was interested in different things. I wrote my dissertation on something entirely different: on conceptual schemes—issues of metaphysics, philosophy of language, epistemology and so on. I didn’t really start doing aesthetics seriously until I started teaching at the University of Michigan and someone asked me ‘How would you like to teach a course in aesthetics?’ I gulped and agreed, and taught a rather large course in aesthetics. I remember staying up half the night twice a week trying to get some ideas on issues that I hadn’t thought about before. That was pretty scary but also exciting. I really liked it and actually my paper ‘Categories of Art’ came as a result of those first years of teaching aesthetics. HM: It is remarkable how that paper, which was your very first effort in aesthetics, has become an absolute classic in the field. Can you tell us a bit more about the main ideas? For instance, what do you mean by a category of art? KW: A category of art is a class of works of art which are recognized as such on the basis of perceptual features. Paintings – or what appear to be paintings – would constitute one category, romantic paintings would constitute another, paintings in the style of Paul Klee would constitute still another. One of my main points is that when we perceive a work of art we recognize it as belonging to some category, or to many categories, but not all possible categories. HM: If membership in a category is determined solely by perceptual features of the work, then a painting that looks like it was made by Paul Klee, will belong to the category of paintings in the style of Paul Klee, irrespective of whether it was actually made by Klee? KW: Yes, that is correct. Another category (in my sense) is that of Brahmsian music, i.e. music in the style of Brahms, whether or not it was actually composed by Brahms. HM: When you insist that categories should be perceptually distinguishable, that seems to create a problem for literature. Many well-established literary genres, such as the romance and the mystery story, are not perceptually distinguishable. Does that mean that the theory you develop only applies to, say, visual art and music? KW: As I recall, I specifically excluded literature from the scope of my theory in “Categories,” for the reason you mention. But I should think that a reasonable modification of the theory would apply to literary works, one that does not take categories to be perceptually distinguishable, at least not in a narrow sense. HM: You also introduce an important distinction between standard, variable, and contra-standard qualities. KW: Yes, a standard property is a property that a work has which helps to make it a member of that category. So, flatness is standard for the category of paintings. Flatness is one of the various things that make paintings paintings. Variable properties for the category of paintings are properties that paintings can have or lack and still be paintings such as the particular shapes and colours on the flat surface of the canvass. Contra-standard qualities are qualities that tend to disqualify a work from belonging in a certain category, such as three dimensional objects glued to paintings, tears in the canvas, and so on. Of course there are much more specific categories which are important, such as paintings in the style of Paul Klee, or modernist or impressionist or post-impressionist paintings – all of which have their own standard properties and also contra-standard properties. HM: This is not just a distinction for distinction’s sake. You argue that how a work affects us aesthetically depends in a variety of important ways on which of its features are standard, which variable, and which contra-standard for us. Could you perhaps illustrate this? KW: Certainly. Picasso’s Guernica is a painting and we normally perceive it in the category of paintings. We recognize it as belonging in that category. But one might come up with a thought experiment. On Mars there might be a kind of works of art which have all of the colours and shapes of Picasso’s Guernica, but they’re not all flat; they vary in bas-relief dimensions. So, relative to that category, the category of guernicas with a small g, having certain colours and shapes is standard, whereas flatness is a variable property. That’s of course the opposite from the case of Picasso’s Guernica which is a painting. Its being flat is a standard property for the category of paintings and its particular colours and shapes are variable for the category of paintings. There is an important distinction which I made in ‘Categories of Art’ – though I didn’t quite put it this way: the distinction between two things appearing different, and two things appearing differently. To appear different is to appear to be different, whereas to appear differently is to appear in a way that gets us to have different perceptual experiences. Two things that appear to be the same may nevertheless appear differently, which means that our perceptual experiences of them may be different. This is exactly what happens in Guernica kinds of cases. The hypothetical guernica on Mars appears to be exactly the same as Picasso’s Guernica – they’re both completely flat and have the same colours and shapes – but they appear differently. Our perceptual experiences of them are different because of the fact that we perceive Picasso’s Guernica in the category of paintings and we perceive the guernica on Mars in the category of guernicas. The latter would perhaps strike us as cold, stark, lifeless whereas Picasso’s Guernica seems violent, dynamic and vital to us. When I wrote ‘Categories of Art’ issues about the intentional fallacy were very prominent. Some people, and this included Monroe Beardsley, had the idea that art and the aesthetic are essentially perceptual notions and since aesthetic properties are essentially perceptual properties then nothing but the perceptual features of a work of art can be relevant to it aesthetically. In ‘Categories of Art’ I tried to show that non-perceptual features such as the background of a work, which helps to determine what categories we perceive it in, do have perceptual effects so that things such as artist’s intentions but also other features of the background of a work which are not perceived by the viewer, nevertheless not only affect our experience of a work and our evaluation of it, but affect our perceptual experience of it. HM: Sometimes this effect can be very strong. People can be shocked by art and, as you argue in your essay, often the shock arises from features that are contra-standard relative to categories in which objects possessing them are perceived. KW: Yes, when you have contra-standard properties they are contra-standard for a particular observer only if she continues to perceive the object in the category for which those properties are contra-standard. The torn canvas is an example or the case where you have three-dimensional objects attached to a painting. Those features are surprising in a painting but not surprising if you saw it as a sculpture. But as long as it has got enough of the standard properties for a painting, so that you still recognize it as a painting, there is going to be some conflict and probably you’ll notice especially those contra standard properties. So, having three dimensional objects attached to it isn’t itself surprising or shocking in a sculpture. But if it’s in something you see as a painting then it is. And that’s a very different aesthetic effect. HM: This brings me to contemporary art. For instance, installation art and performance art seem to be two bona fide artistic categories. But, one might wonder, if that is the case then what are the standard and variable qualities for those categories? And what are the contra-standard qualities? If anything can become a work of art nowadays, as some have claimed, then it seems there are no contra-standard qualities, i.e. qualities that disqualify a work from belonging in the category of installation or performance art. KW: From the middle of 20th century there’s been an explosion of new genres, kinds of art, media, and so forth. It may be that some of them have not been established clearly enough with definite enough standard properties for there really to be standard or contra-standard properties. If anything goes, without conflicting with a category something is perceived in, then nothing is going to be contra-standard. But probably you could come up with some examples. If a performance work consisted of nothing but a pianist playing a Mozart sonata, and that was it, then we might perceive it as a musical performance rather than as a work of performance art or installation art. But if we did somehow perceive it as that, then we probably have a contra- standard property there. We certainly might be surprised if it is billed as an installation work and it turns out to be nothing but the performance of a Mozart sonata. HM: What do you think about a case that is in some respects the opposite: John Cage’s 4’33” in which a pianist sits for 4’33” at the piano and plays nothing at all. This was presented and labeled as a piece of music, but perhaps it is better thought of as a work of performance art? KW: I like to think of 4’33” as being a theatre piece which consists crucially of someone acting as though he or she is performing a piece of music. Of course, it defies your expectations if you come thinking of it as really a musical performance. One thing that John Cage said is that it does consist in sounds except that the sounds are those made by the audience. Of course, every musical performance contains sounds of that sort but we normally ignore them and don’t think of them as part of the work. But as a theatre piece I don’t think it is very strange. Probably it does have some contra-standard properties qua traditional theatrical work, but as contemporary theatre it fits with lots of other works. For instance, it is not so different in crucial respects from some of Beckett’s theatre works. One of the especially interesting things about this, however, is that part of the theatrical event consists in there being a pretence that it is not a theatrical event. If it were billed as a theatrical event it would not be nearly as interesting. HM: So, even if it was Cage’s intention to make music, you don’t see it that way or categorize it that way. Earlier on, however, you mentioned the artist’s intention as one of the factors that is important in determining which category a work belongs to. KW: It’s of course very hard to figure out what John Cage’s intentions were. It may be that just about everything he said was tongue in cheek. Again, that might not be true. But we don’t know. In ‘Categories of Art’ I had in mind much more traditional sorts of works. I suggested that one of the considerations which determine what categories a work is appropriately perceived in is the intentions of the artist. But that is certainly not decisive. And it might very well be that in this case, even if John Cage did intend it to be perceived as a musical work, there are very good reasons not to perceive it that way. Maybe there are just too many contra-standard properties with respect to the category of a musical performance. HM: Are you, generally speaking, optimistic or pessimistic about the direction that contemporary art has taken? KW: Contemporary artists are all over the map I think. There are interesting things and less interesting things. I have just been looking at some of the installation works of Janet Cardiff, which are certainly among the more interesting ones. She has installations which make heavy use of sound. That especially interests me because I’m interested in music and also in how music and sound in general connect with the visual arts and theatrical arts. One of her pieces is called ‘40 part Motet’ and is built around a performance of a choral work for eight choirs of five voices by Thomas Tallis. There are 40 speakers and on each speaker is recorded one of the voices. The speakers are arranged in a large room so that the audience walks around and hears each voice separately, whereas if you hear it in an ordinary concert it is of course very hard to distinguish the particular voices. A commentator said that you hear it more as a performer does. In a way that is true but of course a performer is not normally going to be walking around and hearing other voices individually. HM: So there are good and bad contemporary artists, just as, in traditional art, there are more and less successful works of art? KW: I certainly think we can make value judgments. There are things that I like more than others and think more worthwhile than others. I do believe, however, that it is a mistake to suppose that there is one scale on which we can grade all works of art. Also, given that evaluation of works of art makes sense, it still seems that in lots of cases comparative evaluations don’t make sense or at least are defective in some way. If someone asks you which is better, Beethoven’s 3rd symphony or Shakespeare’s Hamlet, I think the proper reaction is to say: ‘Don’t be silly. What a ridiculous question!’ They are very different and do very different things for us and we like them for very different reasons. So there is a kind of incommensurability about them. The idea that there is some single scale of aesthetic value which different works of art achieve in different degrees, does not correspond to the way I, and I think most people, think about works of art. HM: You just took two examples from different art forms, music and literature. Do you also think that comparative evaluations don’t make sense within one and the same art form? It does not seem silly to say that some of Beethoven’s works are better than others. KW: I certainly agree with that. And I’m certainly not saying that comparative evaluations never make sense. The 3rd symphony is played more than the 4th and maybe it makes some sense to say it’s better. On the other hand, depending on your mood – and there may be no way to decide what is the best mood – you might prefer one over the other. When two works of art seem to some significant extent to be aiming for the same kind of value, then it will begin to make sense to say that one achieves it more than the other. For instance, if two works of art have as one of their main aims raising our consciousness about race relations, then we might very well say that one is more effective in that respect than the other (and it might very well be true). Also, when we have two works of art which are aiming for different objectives but one achieves its objective very well in relation to a comparison class and the other achieves its objective not very well then maybe it will make some sense in a different way to compare them. Suppose that you ask whether a certain steamship is better than a certain electric drill. On the one hand, you might say ‘Don’t be silly, that’s a ridiculous question.’ If you want a drill you take a drill, if you want a steamship, you go to a steamship. On the other hand, if the drill breaks down immediately and the steam ship serves its purpose pretty well, then you might say that there is some sense in making a comparison. Works of art are like that. They achieve lots of different purposes. And what we are looking for in a work of art may be different things at different times, something or other interesting and exciting or moving or calming or whatever. We may open a book or look at a painting or go to a movie sometimes without much of an idea what sort of thing might be interesting or exciting or moving about it. We hope that there is something, and may be surprised about what sort of value the thing happens to have; then we might say that it’s great in that respect. But we still might be unwilling to compare its value with something else. 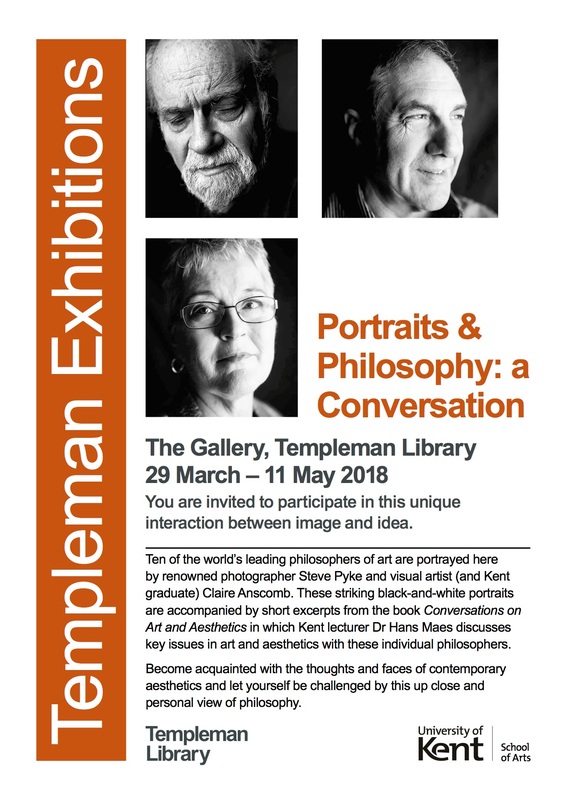 HM: In 1984 you wrote another classic paper, ‘Transparent Pictures,’ in which you argue that photographs are transparent. So, when you are looking at a photograph of, say, your grandfather you argue that you are actually seeing your grandfather. Many people will consider this a very counterintuitive thesis. How do you make it less counterintuitive? KW: In the first place, I think many people have thought that I was making a claim about the English word ‘seeing.’ But I’ve tried to make it clear that that is not the case. In saying that I see my grandfather when I see a photograph of him, I don’t care much whether this involves a change in the meaning of the word ‘seeing’ or not. What I did claim is that there is an important respect in which seeing a photograph of someone is similar to seeing a person face-to-face and also similar to seeing a person in a mirror or through a telescope. All of these cases have something in common and they are all different in the same respect from seeing a painting or a drawing of someone. A very natural way of bringing out this similarity is to use the word ‘seeing.’ If this means changing the meaning of the word slightly, well, we do change meanings of words slightly all the time when we come to understand new things about our world. And it seems to me that a very natural way of describing this is to say: Let’s count seeing a photograph of something as another way of seeing that thing, and then not count seeing a painting of someone as seeing that person. Because that’s where there is a very important difference. The slippery slope argument is something that makes the notion intuitively plausible to begin with – although I don’t think it is something we should rest too much weight on. The argument is this: you see somebody when you are right in front of them, you can also see a person in a mirror, or through a telescope, then why not through CCTV? Is there any particular reason why we should draw a sharp line between seeing something in the first several ways and seeing something in the later ones? And if we go that far, isn’t seeing a photograph of something also similar? People will put this by saying that there is a mechanical connection between the viewer and what’s being seen in all of these cases. HM: And this is where the difference is between photographs and paintings? HM: Is this enough to make photography an art form? KW: I don’t have any particular account of what it is for something to be an art form. I think it certainly is enough to deflect the worries that some people have had about photography being an art. I don’t think there is any good reason to deny that photography is an art. 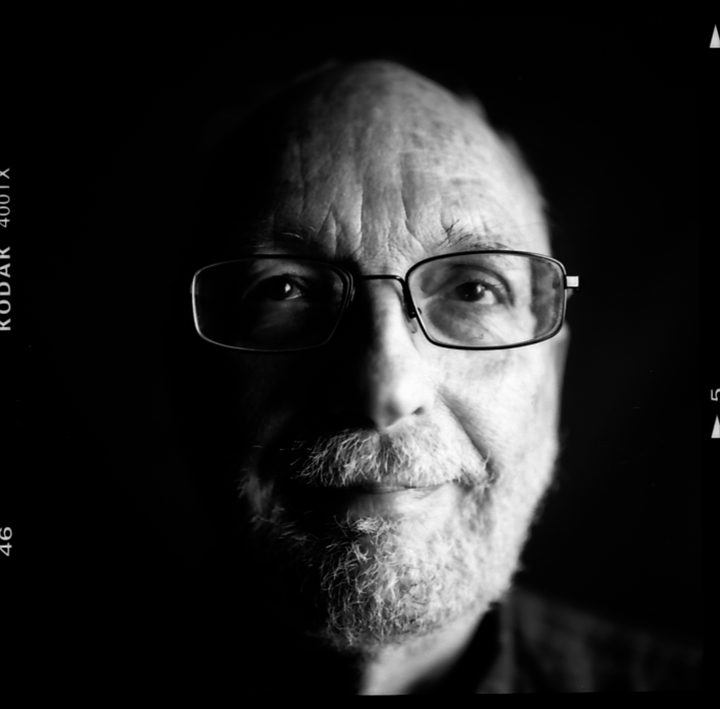 We can think of the photographer as showing us something and in that way affecting our perceptual experience, maybe profoundly, just as if someone points to something and gets you to look over there and then you see it. If that person hadn’t pointed it out, you might not have seen it or you might not have seen certain features of it. But nevertheless you are seeing the thing yourself. We can think of the photographer, rather than getting in the way of our view of the object, as showing it to us and getting us to see it in a certain kind of way. So I might have a sense of the attitudes of the photographer and what the photographer thought was important—this on some accounts is necessary for counting photography as an art. But I am still seeing the object myself. HM: Another art form that you have written extensively about is music. Two essays on this subject have a question for a title: ‘What is Abstract About the Art of Music?’ (1988) and ‘Listening with Imagination: Is Music Representational?’ (1994) Is there a simple answer to these questions? Is music representational or abstract? KW: Well, if you want a one word answer, music is representational. HM: To many this will sound very counterintuitive. Can you explain why or in what way you think music is representational? KW: There are certainly important differences between the way in which ‘absolute music’ is representational and the standard instances of representational arts: figurative painting, literature, etc. The fact that it is representational comes out in many of the metaphors that we use in describing music, for instance, when we say that there is tension in the music, that one voice interrupts the other, or that the strings are overwhelming another part of the orchestra. I think that these metaphors reflect important features of our experience of the music, and if we didn’t hear the music in accordance with these metaphors then we wouldn’t hear it nearly in the appropriate way. But notice that the metaphors I just described have to do with features of the music itself rather than with characters that might be portrayed by the music. Literature or paintings are representational works which represent people, events, cities, landscapes, wars, i.e. things other than features of the painting itself or features of the words themselves. So, here is one quick way of seeing what the difference is in the case of music: we might think of music as something which has for its characters not people, or wars, or cities, or anything of the sort but features of the music itself, sounds, motifs, harmonies, rhythmic motifs, and so forth. Nevertheless, there can be fictions that can represent features of itself. Actually, Wollheim has a similar view about so called non-figurative art. He thinks that when you see one part of the canvass in front of another, that you are seeing representationally. And in my terms – not his terms – I could say that the painting represents one colour patch as being in front of the other. The one is not actually in front of the other, but they are seen as though this is true. And that would be one case in which you have fictional objects which are not people or things outside the work but features of the work itself. It is in that sense that you can say that music is representational. HM: When you listen to music is that mostly classical music or do you also listen to ‘lighter’ genres of pop and rock music? I’m asking because another prominent figure in analytic aesthetics, Roger Scruton, has argued that pop and rock are symptoms of the decline of musical culture. Do you share his view? KW: I certainly don’t share his view that pop and rock are signs of the decline of musical culture. But I have to admit that my predilections are for Bach, Mozart and Beethoven. Do I listen to the other music? Well, I hear it all the time because it is all over the place. You cannot not hear it. There is also lots of music from other cultures and some are high art traditions which Scruton might approve of – I don’t know. I have in mind especially Javanese gamelan music. My wife is an ethno-musicologist and she works on this kind of music. But to return to the question: our culture may well be declining, but I don’t think that pop and rock music are a sign of that – maybe some particular things are but not music in general. HM: Hilary Putnam once said: ‘Every philosophy which can be put in a nutshell should stay there.’ I’m fully aware that you can’t possibly summarize your book Mimesis as Make-Believe (1990) in just a few sentences, in a nutshell, but perhaps you can tell us a bit more about some of the main ideas. For instance, you argue that there is a significant connection, or at least analogy, between something that we usually associate with children – children’s make-believe activities – and the serious, adult world of art making and appreciating. KW: I don’t think this is a terrifically new idea. But I think a lot more can be made of it than has been. Children certainly engage in make-believe. They play dolls, they play cops and robbers, and so forth, and that involves imagination and pretence. They are not under the illusion that what they are doing is real. They know that what they are doing is not real. But it is often very important to them what they are doing. My thought in the book is that similar sorts of things occur in adult activities, and in particular in connection with what I call works of representational art or works of fiction. These works I take to be props which we understand to make certain propositions fictional. Perhaps the most intuitive way to talk about it is in terms of fictional worlds. Children have a fictional world. There’s the cops and robbers game and in that world Johnny is a cop and Mary is a robber and maybe Johnny catches Mary, or maybe he doesn’t. Likewise, various things occur in the worlds of novels and the worlds of paintings. It is of course not at all unusual to speak of fictional worlds of works, but what Mimesis added is that there are certain kinds of behaviour and certain kinds of experiences that appreciators have which also contribute to a fiction. Just as one kid gets on his bicycle and rides off, and that counts as getting on his horse and chasing a robber in a game of make-believe, so various things that appreciators of works of art do and think and feel also contribute to a fiction, not to the world of the work but to a game world. So, if I say Anna Karenina is not going to survive I might very well be in a game of pretence within which I make a real, genuine prediction. And various feelings fit in with the fiction as well. So, the idea is that just as children participate and don’t just observe fictional worlds, appreciators don’t just observe from the outside the world of the novel or the world of the painting. They participate in a fiction themselves and that, I think, goes a long way in helping to explain why engaging in a fiction is important and exciting and interesting. HM: Once you start thinking about our emotional engagement with works of art you soon arrive at certain puzzles or paradoxes. To name just one: it seems we can fear fictions. When we watch a horror movie or read a Stephen King book we seem to feel terrified and afraid, even though we know that everything we read or see is fictional and not real. How do you explain this? KW: In the first place I certainly don’t think, as some people seem to have thought, that we don’t have emotional reactions to works of fiction. We obviously do and I’ve tried to explain the nature of them. But my claim is that when we describe ourselves as being afraid of the slime – and I’m referring here to a movie where we seem to be afraid ourselves of being attacked by something on the screen and not just afraid for a certain character – what is interesting is not just that we know that the danger is not real, though we imagine it is real, but also that we don’t have even an inclination to run or to act in ways that we typically would if we were really afraid. So, I thought it is best not to count this as a case of actually being afraid of the slime. If you want to call it a case of being fearful – where that’s a state which does not have a particular intentional object – that would be fine with me. But I think it is best not to count it as a case of being afraid of the slime. But again what we call it is not nearly as important as some people have seemed to think. We do need to recognize the differences between this kind of ‘fear’ and fear in real life cases, as well as the similarities, and of course the similarities are huge as well. HM: Some have argued that there are not just important similarities between make-believe emotions and real emotions, but that there are almost always sources of real-life emotion that underlie our emotional involvement with fictional characters – which helps to explain why our emotional responses to fiction are often so compelling and deep. What do you think about the idea that real emotions that we have previously experienced towards real objects in our lives, are in some way reactivated when we engage with fiction? KW: This is an empirical question, of course. But I expect that in many instances what happens in a fictional world reminds us (maybe not consciously) of fearful or otherwise emotionally fraught situations we have been in, and “reactiviates” in some sense actual emotions that we experienced previously. This doesn’t mean that we are really afraid of merely fictional dangers, or feel pity for merely fictional characters, of course. The “reactivated” emotion may or may not be an actual emotion whose object is a real thing or situation. It may be fear of a danger I continue to worry about, nuclear war, or global warning for instance, one’s fear being enhanced or made vivid by what I learn about a fictional world. Or I might simply recall, vividly, an emotion I had previously, e.g. fear of losing my footing and falling while climbing a mountain. In the latter case I am not really afraid of falling as I read a novel, if I am safely relaxing in an arm chair in my living room. HM: You said earlier that one of the central ideas in Mimesis as Make-Believe, about the connection between art and games of make-believe, is not entirely new; and in the book you mention Ernst Gombrich’s Meditations on a Hobby Horse as an obvious influence. Who else would you consider to be an intellectual predecessor in this regard? KW: It is very hard to remember what was going on in my head when, in the early 70’s, I first started thinking about the relation between fiction and children’s make-believe. I think I had the impression that some connections were “in the air” but I am not sure that I had any particular authors other than Gombrich in mind. My make-believe theory was designed initially to help explain what is visual about pictorial representation, so Gombrich was especially important. There certainly is a lot of literature claiming that the arts involve play or are playful, but the idea that they involve make-believe in particular is much less prominent. And my theory is that make-believe is central, not in the arts in general, but in what I call representations, which include some but not all works of art, and much that is not art. I came across, fairly recently, a striking passage in Dostoevsky’s Brothers Karamazov in which Alyosha explicitly connects fiction and children’s make- believe. 1 Although I read the Brothers Karamazov in high school I have no idea whether I noticed this passage or was inspired by it. But it very much looks like I was scooped by a fictional character! 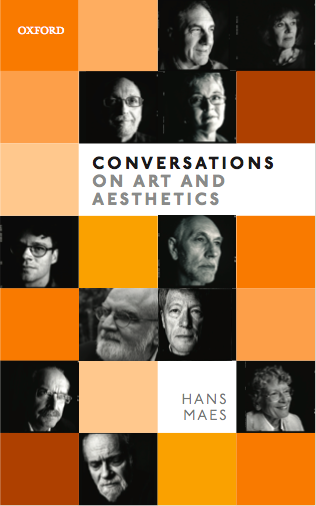 For the remainder of our conversation, including a discussion of the definition and value of art, please see my forthcoming book Conversations on Art and Aesthetics (Oxford University Press, 2016).